Just breathe. It's often easier said than done, figuratively and especially literally. When you can't breathe well, things slow down, sometimes coming fearfully close to a complete halt. Everything is harder and takes more out of you - all while you take less and less in. 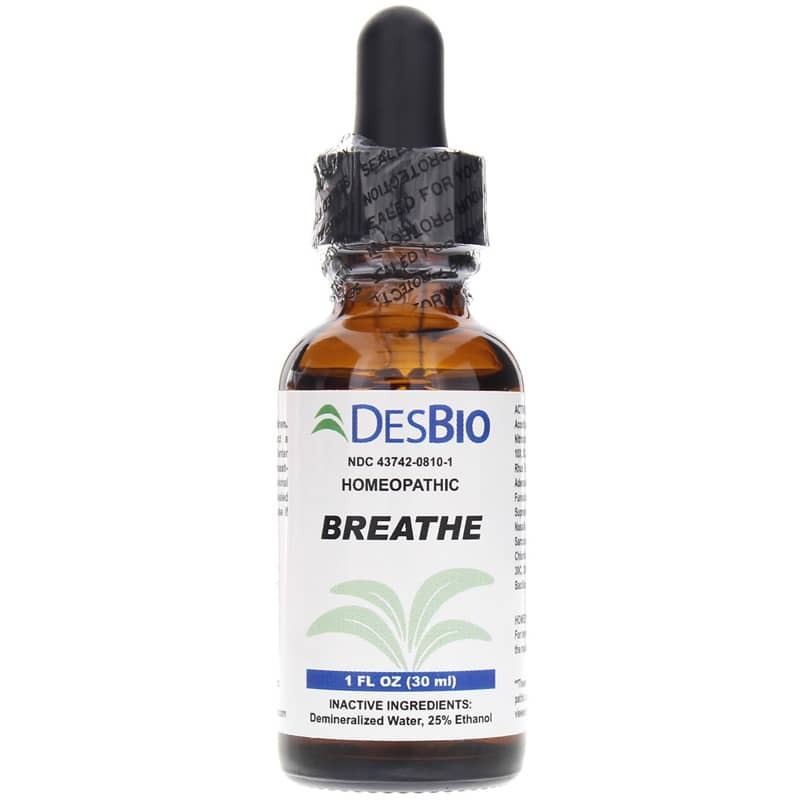 Help support healthy and comfortable breathing with Breathe from DesBio. Breathe is a homeopathic product designed to support the temporary relief of symptoms related to the respiratory system. Homeopathy relies on two major principles: 1) Like treats like and 2) Less is more. Homeopathy uses highly diluted natural plant, animal and mineral ingredients to stimulate the body's response to illness or imbalance. Instead of disrupting the body's natural systems, minute amounts of reaction-inducing substances in Breathe help trigger the body's natural responses, allowing the body to receive the gentle signals it needs to rebalance itself - helping you get the air you need. So take a breath. Order Breathe today. Adults: 1-10 drops under the tongue, 3 times daily or as recommended by a healthcare professional. Consult a physician for children under 12 years of age.